On Monday 22nd April 2019 the sun will rise at 05:53 and will set at 20:27. It will be a mild day, with temperatures reaching around 18.2°C. Today is expected to be a dry day, with a very low chance of rain. It will be quite a breezy day, with a maximum expected wind speed of 17mph. On Tuesday 23rd April 2019 the sun will rise at 05:51 and will set at 20:29. It will be a mild day, with temperatures reaching around 17°C. Today is expected to be a dry day, with a very low chance of rain. It will be quite a breezy day, with a maximum expected wind speed of 19mph. On Wednesday 24th April 2019 the sun will rise at 05:49 and will set at 20:31. It will be a mild day, with temperatures reaching around 12.7°C. Heavy rain which could cause some standing water is expected, 10mm of rainfall is possible today. It could be quite a gusty day today, with a maximum expected wind speed of 22mph. On Thursday 25th April 2019 the sun will rise at 05:46 and will set at 20:33. It will be a mild day, with temperatures reaching around 11.5°C. Some moderate to heavy rain is expected, 7mm of rainfall is possible today. It could be quite a gusty day today, with a maximum expected wind speed of 38mph. On Friday 26th April 2019 the sun will rise at 05:44 and will set at 20:35. It will be a mild day, with temperatures reaching around 11.5°C. A light shower is possible, 2mm of rainfall is possible today. It could be quite a gusty day today, with a maximum expected wind speed of 28mph. On Saturday 27th April 2019 the sun will rise at 05:42 and will set at 20:36. It will be a mild day, with temperatures reaching around 6.3°C. A light shower is possible, 2mm of rainfall is possible today. , 4mm of snow is is also possible.Some quite strong winds are possible today, with a maximum expected wind speed of 43mph. On Sunday 28th April 2019 the sun will rise at 05:40 and will set at 20:38. It will be a mild day, with temperatures reaching around 2.6°C. Today is expected to be a dry day, with a very low chance of rain. There will be a gentle breeze in the air today, with a maximum expected wind speed of 19mph. Well, we are a number of things really, but the four things we pride ourselves in is being a destination for family, food, the outdoors and arts & culture. 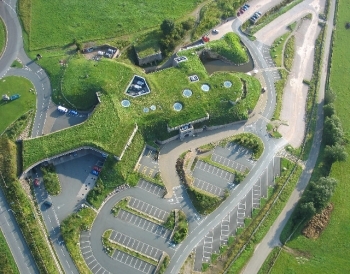 Housed at Rheged is indoor and outdoor softplay, a Create pottery painting workshop, a programme of quirky children's events every school holiday from family theatre to cookery classes, not to mention the largest 3D cinema screen around. We have three lovely cafes including the our Peter Sidwell@Rheged Cafe featuring some of our local celebrity chefs favourite creations and the new addition of 'Fish Friday' where Peter works with the local fishmonger to bring the freshest fish with a unique twist. Our Gallery on the top floor has a changing programme of art, photography and craft exhibitions and our large auditorium is often filled with outdoor enthusiasts listening to their favourite mountaineer or extreme sportsperson. And don't forget our brand new Spa, specialising in Ren treatments. With a small but lovely selection of ten quality shops, Rheged is a great choice for unusual and inspiring gifts throughout the year. Try Splash Out for a range of beautiful clothing, home scents and decorations, whilst our Outdoor store stocks exciting high quality clothing and equipment. Or try Taste foodhall for kitchen and foodie lovers. For kids - look no further than our well-stocked toy shop; from wooden classics to the latest scooters, clothes and shoes.